Location: 2100 E. Cesar Chavez Avenue, Los Angeles. The first time we were introduced to Guisados, traditional home style braises on fresh handmade tortillas, was at a tasting for the East LA Meets Napa event. 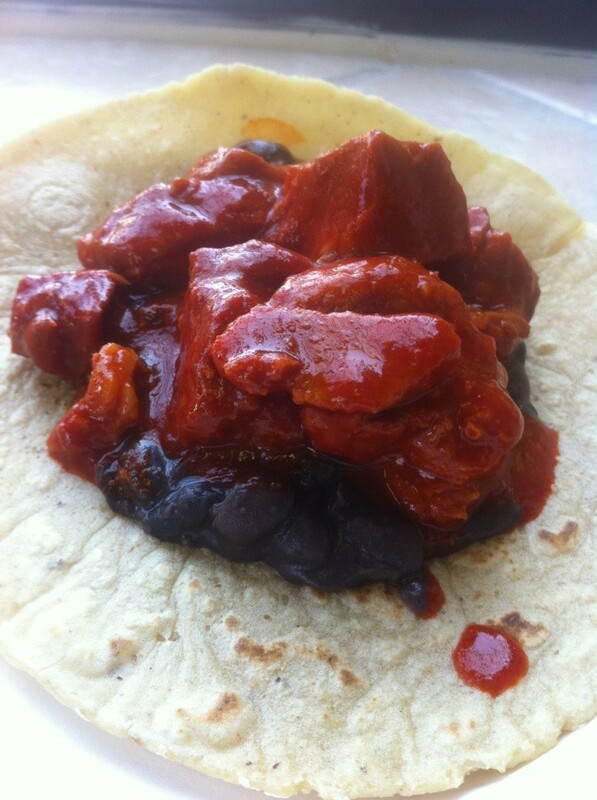 The savory meat stews cooked with vegetables and chiles danced on your tongue as you bit down into the taco. If you’re brave and like heat, definitely ask for the habanero salsa. We love this restaurant not only for its unique take on tacos, but also for its commitment to give back to the Latino community. 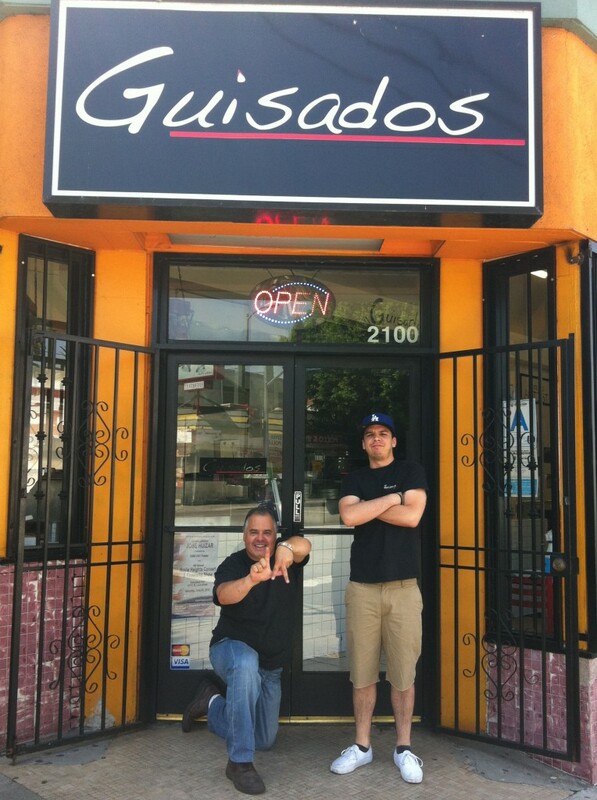 Guisados has graciously agreed to participate in ROJO Sabor Latino 2012. 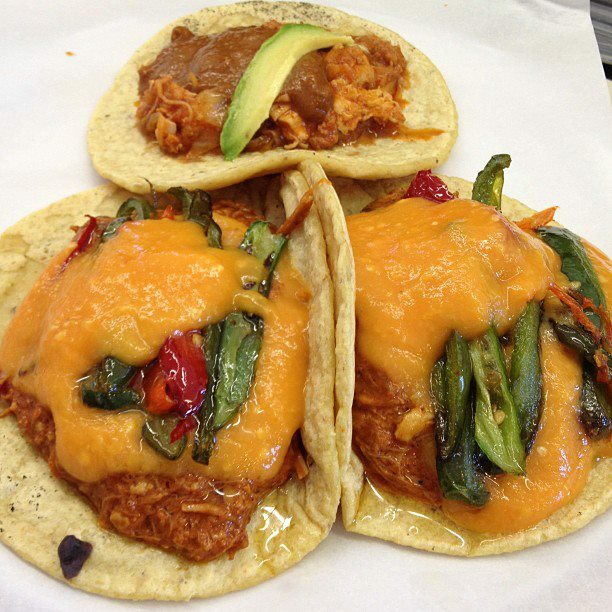 Guisados will feature its authentic tinga taco and special desserts at tonight’s ROJO Sabor Latino 2012, an AIDS Benefit for The Wall Las Memorias Project at Cicada Restaurant in downtown Los Angeles. Guisados joins six of LA’s finest restaurants and chefs who are showcasing their food to guests. The fundraiser has also lined-up live entertainment, celebrity honorees, and top raffle prizes. KTLA-TV News Anchor Elizabeth Espinosa is serving as the emcee. 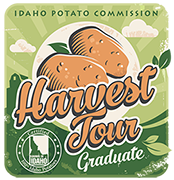 You can still purchase your tickets ($50 per person) at The Wall or at the door. If you can’t make it to tonight’s fun-filled event, make sure to visit Guisados at 2100 E. Cesar Chavez Avenue, Los Angeles, Ca. Pictured above is the father and son owner of Guisados, Armando de la Torre Sr. and Jr. Below is an interview with the owner Armando De La Torre, Sr..
Where did the delicious Guisados recipes come from? 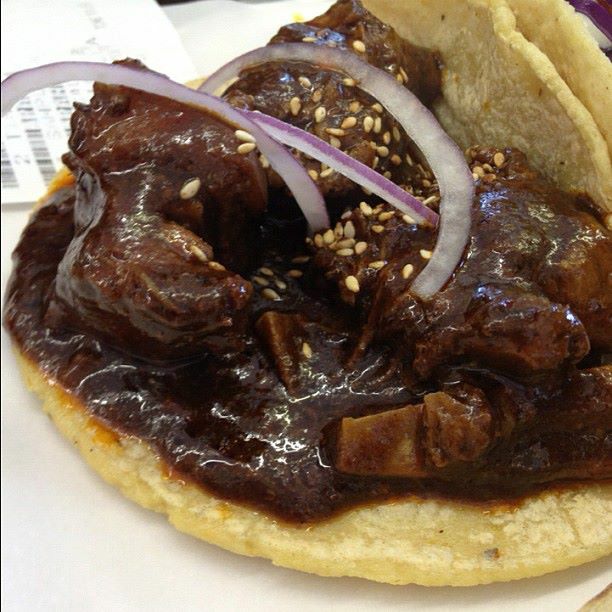 Guisados are stews, meats slowly cooked with vegetables, chiles and other ingredients. 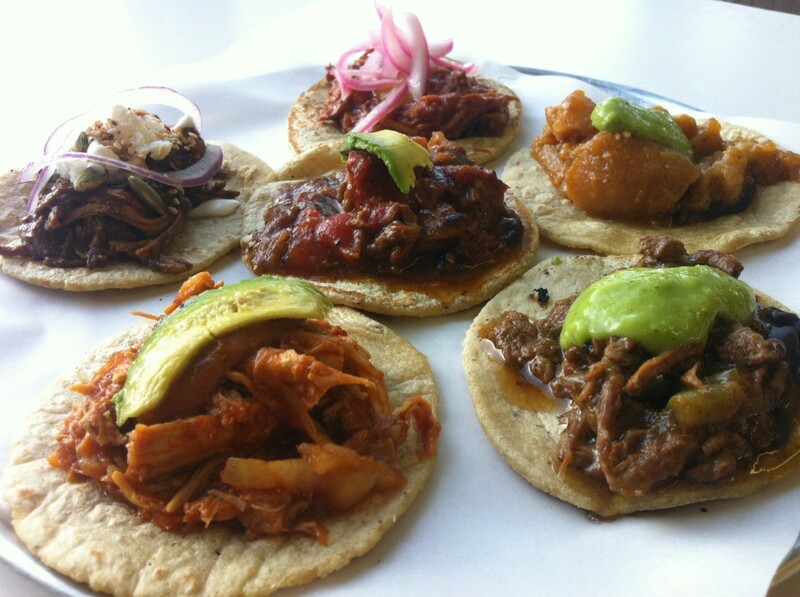 All throughout Mexico you will find different types of guisados, all varying in their types of meat as well as their preparation. We wanted to bring these recipes together with a little twist. Rather than just in a bowl with a side of rice and beans, we decided to throw them on top of handmade corn tortillas; prepared with the fresh ground masa from my brother’s market next door. Were there any obstacles to open a restaurant? What were they and how did you overcome them and stay focused? I had honestly never owned a restaurant before. My previous experience had been in the kitchen at my moms, or cooking for friends as well as a couple jobs as a teenager. I had somewhat of an idea that the hours would be this long, but never did I imagine I’d be doing this in my 50’s. It has been a lot of work, but I wouldn’t trade it for anything. I’m doing what I love. Who was your greatest cooking influence? My mother, even today she stops by to check up on my recipes, making sure that I don’t ‘mess up’ her super-secret Carne con Chile Colorado. What is your favorite Latin-inspired dish that you like to prepare or eat? Carne con Chile Colorado, it is my most nostalgic recipe. 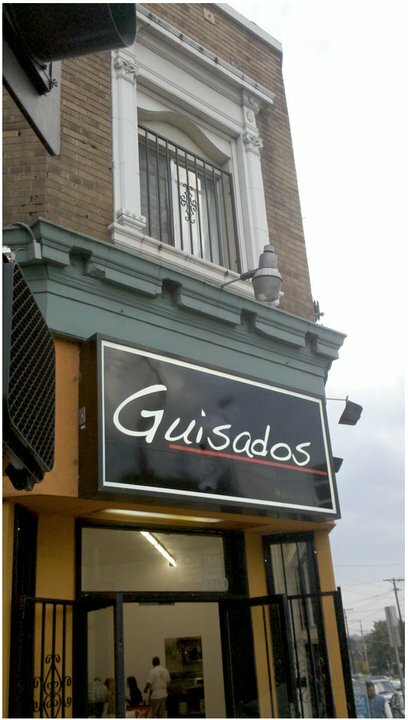 If someone hasn’t tasted Guisado’s, how would you describe your food? Traditional Homestyle Braises on Handmade corn tortillas.